When you think of fall vacation destinations, Pensacola may not come to mind -- at first. After all, unlike your standard ho-hum fall “hot spots,” our palm trees stay green year round. We go out fruit picking, but that’s oranges in December. There is no frost on the ground – just sugar white sand. So pick your favorite festival and plan your Pensacola getaway! 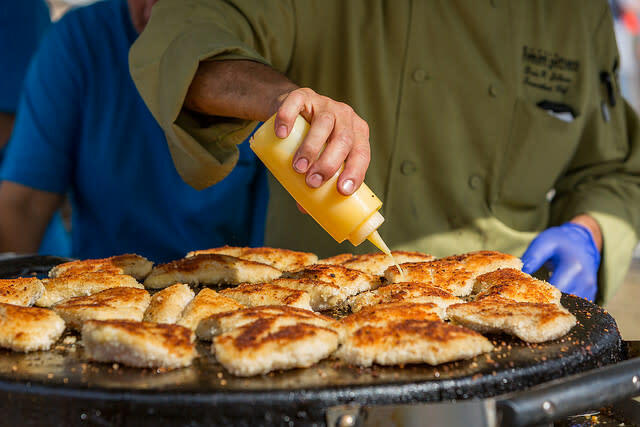 Fried, blackened, broiled, boiled, seared – no matter how you like your seafood you’ll find your favorites at the Pensacola Seafood Festival. The three-day event takes over Seville Square, Fountain Park and water-front Bartram Park in Historic Downtown Pensacola each fall, attracting more than 100,000 attendees during the three-day event. You can sample dishes from the area’s top restaurants, watch cooking demonstrations, stroll the art fair, or enjoy activities for kids and live music. For those who don’t want all seafood all the time, there are vendors with more traditional festival foods, too. Admission to the family-friendly weekend is free. The Blue Angels inspire awe all over the world, but they call Pensacola home. 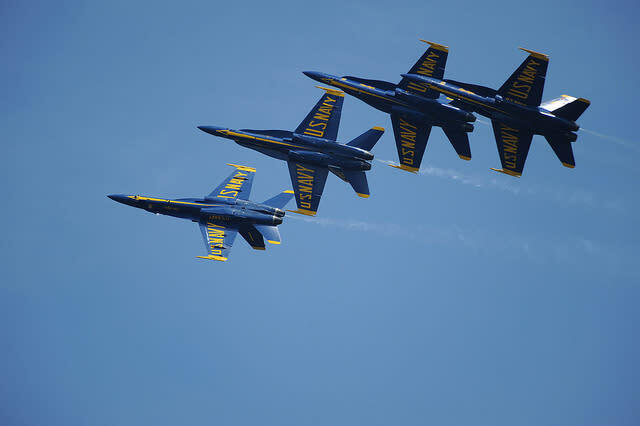 Every November they close out their season with a final weekend performance at the NAS Pensacola Blue Angels Homecoming Air Show. You’ll hold your breath as the precision acrobatics bring the planes as close as 18 inches to each other, to altitudes as high as 15,000 feet and speeds as fast as 700 miles per hour – a velocity approaching Mach 1. The event also includes stunning performances by the best military and civilian aircraft teams and pilots in the country. There is also a Kids’ Zone play area and informational displays. It’s also a great opportunity to visit the National Naval Aviation Museum located adjacent to the event site. Say “Greek Festival” in Pensacola and watch everyone around you turn wistful and glassy-eyed as they drift away on a dream of dolmades and baklava. 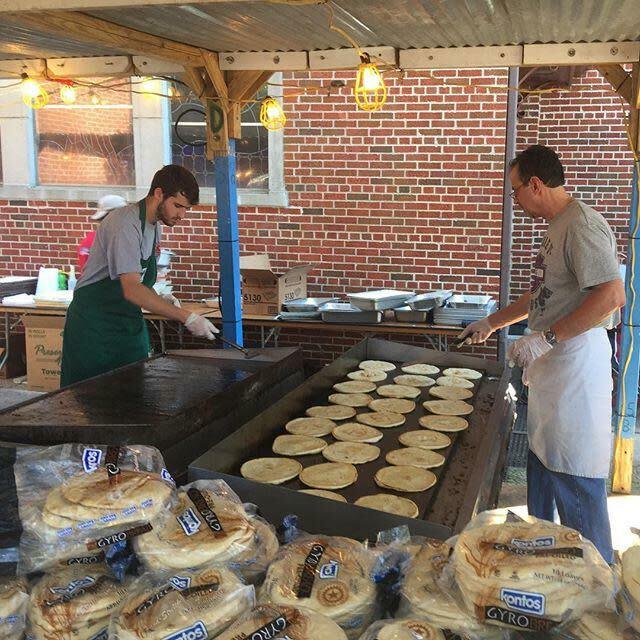 Pensacola has a lot of festivals that revolve around eating, but Greek Festival may be the most food-centered of them all. The parishioners and friends of Pensacola’s Annunciation Greek Orthodox Church spend endless volunteer hours preparing mountains of food. Dozens of mouth-watering traditional Greek dishes and desserts quickly disappear from the long serving tables as everyone gets something for now and something to go. We never want the eating to end. Visitors can also enjoy Greek music and dance and learn about the Orthodox faith while touring the historic church’s amazing architecture. Admission is free, but bring money for plenty of food; it’s irresistible; you’ll want to take some home. Hear an old favorite or discover the next big thing at the Frank Brown International Songwriters&apos; Festival, headquartered at the Flora-Bama Lounge, which straddles the Florida-Alabama state line. For more than 30 years, songwriters have migrated south in the fall for this meet-up of Grammy Award-winning lyricists and up-and-coming stars of tomorrow. They take to the stage each night to share their songs and stories in settings from quiet, intimate performances to raucous, sing-along parties. The Frank Brown Songwriters’ Festival is the oldest festival of its kind and has been referred to as the largest gathering of songwriters at one time anywhere in the world. In recent years, the event has attracted more than 200 artists from around the world to venues across Perdido Key and Pensacola, Florida and Orange Beach and Gulf Shores, Alabama.Festival attendees enjoy an up close and personal concert experience and are often able to learn the stories behind some of their favorite songs as told by the original author. What better way to enjoy a fall day than checking out the country’s best artists on the waterfront under a canopy of oak trees? The Great Gulfcoast Arts Festival, held the first weekend in November in Historic Seville Square, is one of the best-regarded, most popular arts festivals in the nation. It’s a destination event for the southeast with visitors checking out the festival and making one last beach run before the winter season. The three-day, juried art show draws more than 200 of the nation&apos;s best painters, potters, sculptors, jewelers, graphic artists, craftspeople and other artists. Locally, it’s known as the unofficial launch of the holiday shopping season. Browse and shop, but keep in mind that many an art collector has lost out on a coveted piece by waiting until the last day to buy! Drama, dance and music are also celebrated with live performances throughout the weekend. 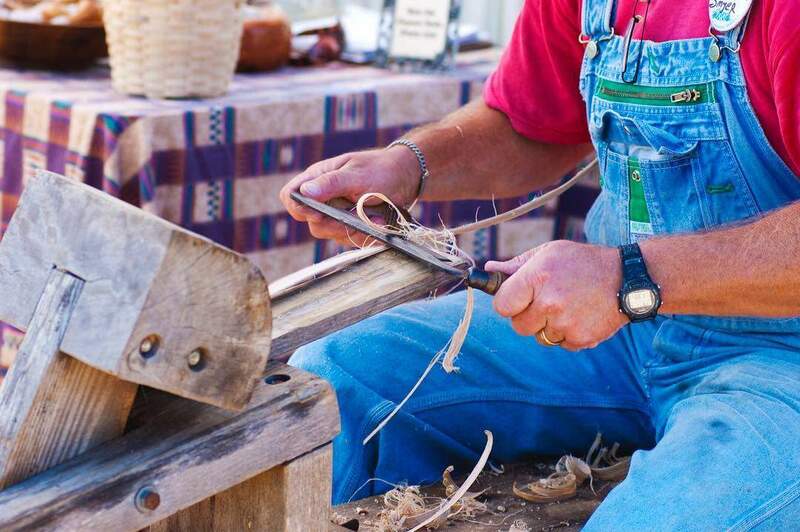 Artists demonstrate traditional arts, crafts and trades, including blacksmithing, engraving, spinning, weaving and other skills in the Heritage Arts Area. From seafood to fine arts, from baklava to the Blue Angels – you’re not going to want to miss fall festival season in Pensacola! Start planning your getaway today! Left a favorite off this list? Leave a comment below!